When your baby is tiny and vulnerable you want to protect him and keep him safe when he is in his cot or his pram. On this shelf you will find nets for prams, cots, and cot beds. What do you need a net for and is it necessary? 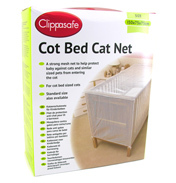 If you have a cat you know that he loves to curl up somewhere where he is warm and comfortable and his idea of a perfect place is your baby’s cot or pram, his idea maybe but not yours! 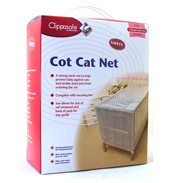 The easiest solution is to cover baby’s pram or cot with one of the mesh cat nets to be found on this shelf. That will encourage your cat to reluctantly go and find somewhere else to crash out. We know that flies and other insects are not only annoying but carry disease and during the summer wasps are a huge pest and a sting from one of these can be extremely dangerous especially for a small baby. 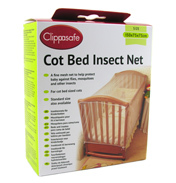 On this shelf we have a selection of insect nets to cover baby’s pram, cot or even car seat. 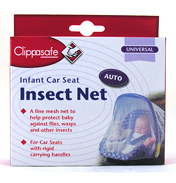 The fine mesh will protect your baby from wasps flies and other flying insects. 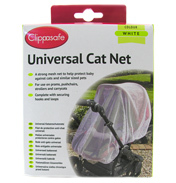 Pram and cot nets are not a luxury, they are a necessity.